Is this luck or a golden opportunity? Consider this: You are returning home after a rigorous training session, tired but fit enough to play matches having completely recovered from a persistent shoulder injury. In the mix, your phone rings and it’s the coach who has an important message to deliver. The coach says, "You have been given a direct entry to the World Championships," and out of nowhere you have been handed a chance to bring a medal for India. 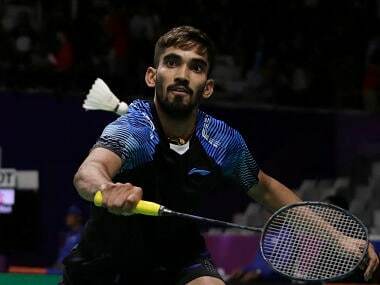 Interestingly, this is how India’s men’s singles shuttler Sameer Verma learned about his qualification in the World Badminton Championships in Glasgow. “This wasn’t expected at all. I was hoping for a call in the Championships but I wasn’t sure. The exclusion of Chinese Taipei players (who want to contest at the World University Games in their hometown) from the tournament opened up a number of slots and luckily I made the draw,” Sameer told Firstpost. Sameer missed out on qualification in May, where compatriot B Sai Praneeth and Kidambi Srikanth bagged gold and silver medal respectively to boost their rankings. But now, the 22-year-old is the part of a strong four-man men’s singles contingent alongside Ajay Jayaram, Praneeth and Srikanth. Meanwhile, it would not be surprising to see Indians at the podium this year at the World Championships with the qualification of a record 21-member contingent. Not only is this the country’s largest representation in the world event but also is among the few countries who has filled all four qualification spots in the men's and women's singles. The Badminton World Federation (BWF) calendar year – which began in January – has so far witnessed the rise of Indian badminton and especially in the men’s singles department. The likes of Sameer Verma, Kidambi, Praneeth have tasted success, winning six titles this season. Sameer bagged the first gold medal among the Indian men's singles this year after winning his maiden Syed Modi International Grand Prix Gold event in January and followed it with a quarter-final finish at the India Superseries. But he suffered a shoulder injury during one of his training sessions which forced him to withdraw from Indonesia and Australian Open Superseries events in June. However, at such a huge event, Sameer wants to forget past mistakes and start afresh to make an impact. "I just realised that to overcome persistent injuries, I need to strike a balance between playing and practicing. I played a lot of close matches and also attended strengthening drills in recent months, which proved to be costly as my shoulder started to strain," Sameer reasons. Sameer, a bronze medallist at World Junior Championships, is also confident of a podium finish for Indians in Glasgow. “All the shuttlers at the World Championships are on the same level, including the Indians. But, I won't rule out an all-Indian semi-final or final. If luck stays with us, we might see Indians bagging a medal or two,” said Sameer. India’s recent success in the men’s singles was arguably down to the on-court confident and attacking style of play. However, Sameer believes that the Indian players should also look for variations. “We should not just bank on our strong attack but instead have a strategy in place to outnumber our opponents,” he added. 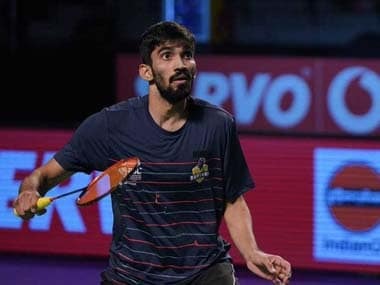 The 22-year-old Dhar native from Madhya Pradesh has been drawn against veteran shuttler Pablo Abian of Spain and if he wins, he will lock horns with another experienced shuttler in England's Rajiv Ouseph. Sameer believes that it will be a huge challenge to beat the Spaniard in the first place. "It is a tough draw of course. You can only expect tough draws when you have qualified for the World Championships. Things are really challenging from the first round itself," said Sameer. "This will be the first time for me at such a grand event and also a bit special since it's the first time I'll be playing in Glasgow. Need to give 100% in Glasgow despite a tough draw and get settled down as quickly as possible. Pablo is a shuttler who loves to outplay his opponent with tiring rallies," he added. One of the reasons why these men have outshone higher-ranked shuttlers is because of a string of consistent performances following Mulyo Handoyo's changes in the training patterns. The Indonesian coach, who played an instrumental role in the development of the legendary Taufik Hidayat, has also helped Sameer work on his core strength and his fitness. "Mulyo (Handoyo) sir is preparing us to be ready for long matches. Before him, we had three sessions but now we train more regularly. I've been able to stretch the games but the only thing I need to work on is to finish the close matches." It was evident how Sameer coped with the pressure of playing two matches – which went into the deciding game – in a day at the recently-concluded US Open. "We are going through longer sessions now. We start practicing in the morning and wrap things up at night. It's not easy to maintain that level of fitness for months and especially for me since I was already aiming to come back after my injury issues in May. I participated at the US Open and since then I have been training rigorously," Sameer explained. Ahead of the Championships, Sameer said that he has worked hard on his overall game and that should help him against some of the big guns. "I don't look at an individual stroke or a shot but instead I concentrate on my overall game. Also, there should be a proper blend of attack and defence and with forecourt and backcourt coverage," said Sameer. With high expectations from arguably the strongest Indian contingent ever, this direct entry falls as a massive opportunity for Sameer, who wasn't even expecting to take the court in the Championships, let alone winning a medal. Looking at the high level of training all the shuttlers from every department have gone through, the possibility of bringing home a medal stays alive. The Chinese Taipei shuttlers might have done a favour to Sameer, who is eager to achieve the unwritten objective in a sport where there are no favourites.